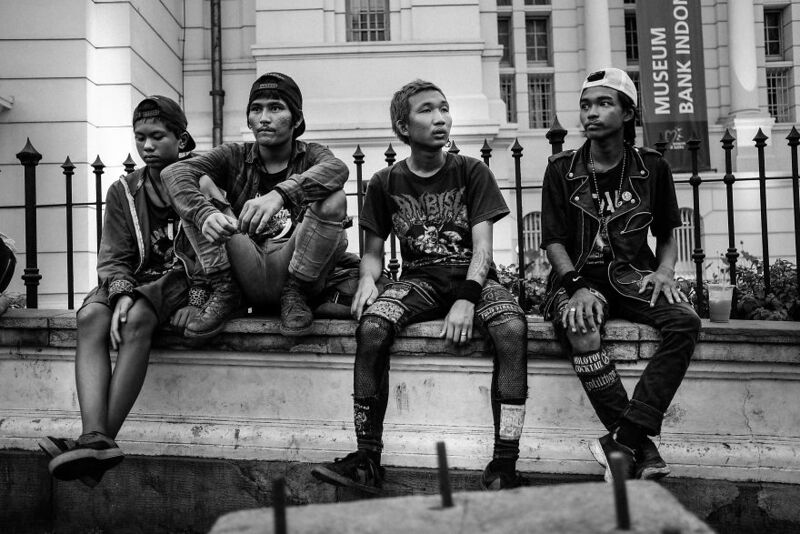 Indonesia has one of the biggest and most active punk community in the world. 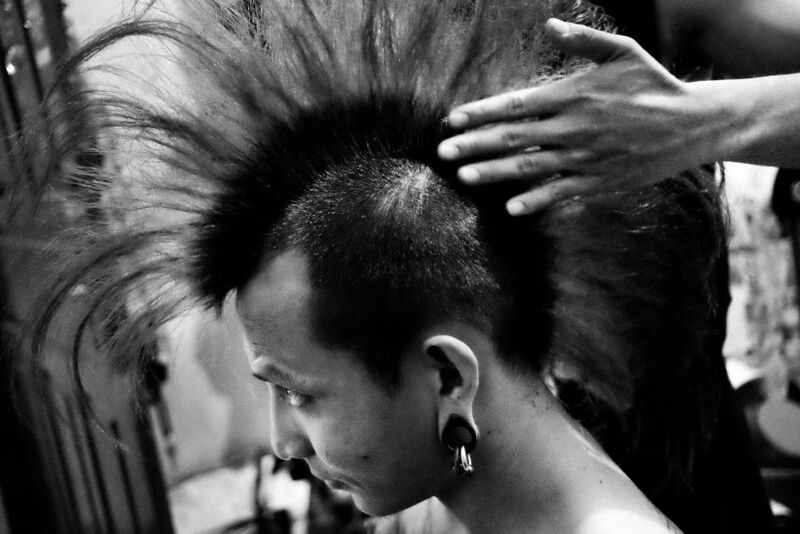 Punk movement in Indonesia started in late nineties as a way to fight growing poverty and corrupted government. Inspired by the western punk movement, Indonesians as well started to rebel against their government by creating songs about freedom, equality and injustice. Punk movement is kicking and growing ever since. Being punk in Indonesia is not only about music and freedom, punk community can provide sense of family, self-worth and give a chance to survive. 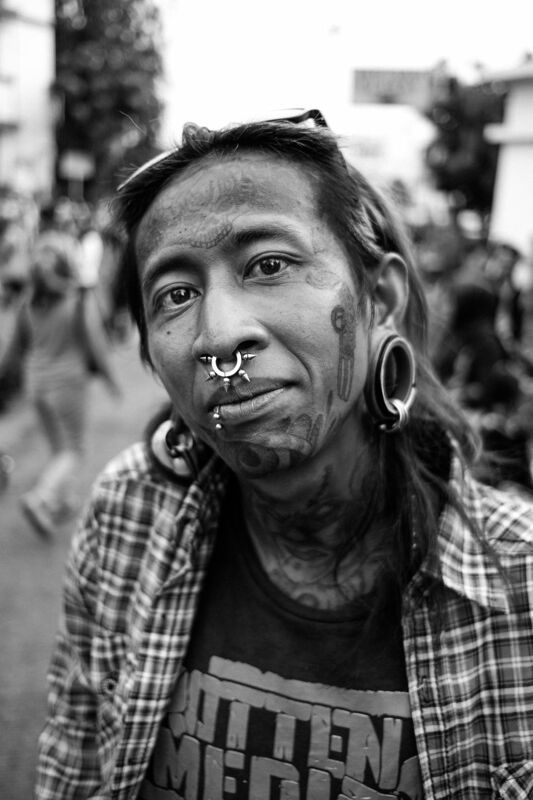 Indonesian punks are famous for their very unique and kind of aggressive looking appearance: heavy pierced and tattooed faces and ripped black clothes decorated with punk symbols. 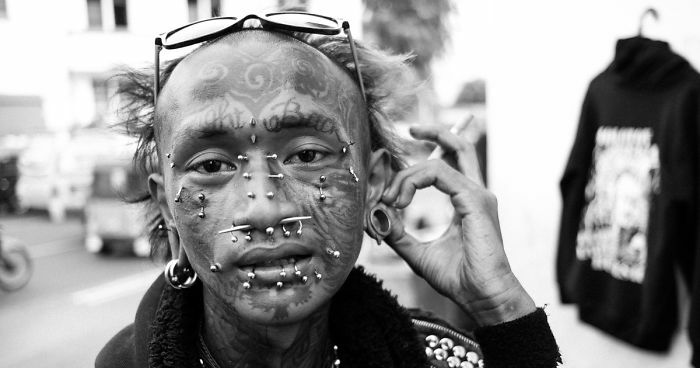 Their extreme looking appearance has some negative consequences in this conservative Indonesian society. 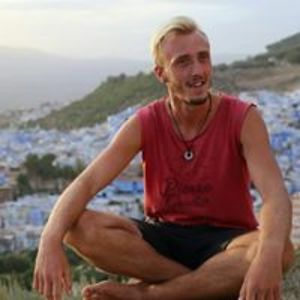 They are often treated as criminals, occasionally arrested by police. People are scared and try to avoid any contact with them. Because they look extremely different from others. But who are these heavily tattooed and pierced rebels? What is behind their intimidating appearance? Are they really as dangerous as the society says they are? To find the answers to these questions, I became friends with Jakarta’s streets punks and started to photograph everyday life of the community. I photographed their intimate moments and daily activities, their joy, suffering and struggle to survive.